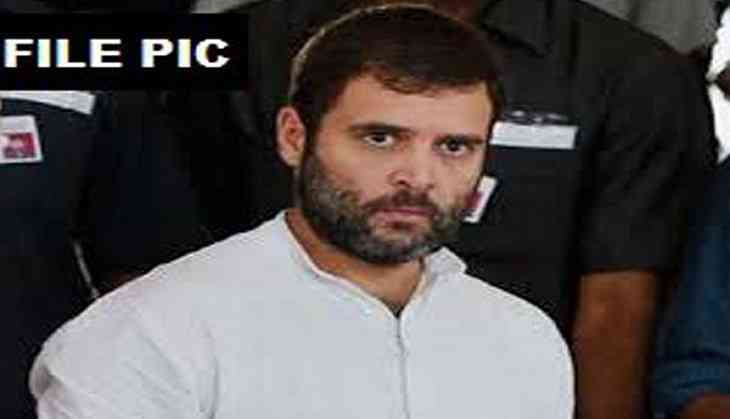 Congress vice-president Rahul Gandhi on 12 June said the comment made by party leader Sandeep Dikshit against Army Chief General Bipin Rawat were wrong, insisting that politicians should refrain from making such statements against the Army Chief. Gandhi further said that the Indian Army serves the nation and, therefore, no political statements should be made against them. "I dub the statement as wrong. Politicians should not comment on the Army Chief. I want to make this clear today. The Indian army works for the nation, safeguards our nation and the person who leads the army, their chief, no politician should not comment about him," he added. Gandhi's remarks came after Dikshit said that General Rawat was behaving like a 'sadak ka gunda'. His statement came in response to General Rawat's remark that the army was "fully ready for a two and a half front war". Meanwhile, the Centre has demanded an apology from Congress Party chief Sonia Gandhi and asked her to clarify her stand on the remarks against the Indian Army. "It shocks us. It did not come from somebody from Congress, but from a very eminent Congress leader," Union Commerce Minister Nirmala Sitharaman said on Monday. However, Dikshit has tendered an apology for the statement, saying he shouldn't have used "uncivilised" words to convey his message. "It was a statement given to you (ANI) only and it was in the context of the constant statements that the Army Chief has made with regard to the army's preparation and Pakistan. I thought Indian Army chiefs normally don't make these statements and they have a different manner in which they approach," Dikshit told ANI.